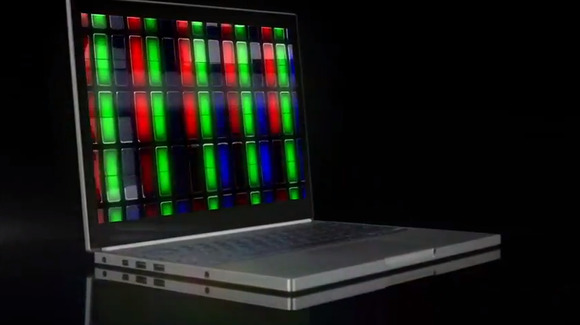 'Chromebook Pixel': the Google PC we've been waiting for? Is Google really working on a Chrome OS touchscreen notebook? There's been virtually no end in sight to the Chromebook phenomenon over the past few months, with new entries popping up practically every time you turn around. It was Acer and Samsung that kicked off the line, of course, but since then we've seen both HP and Lenovo join the fray. The latest rumors, however, point to something many will likely consider more exciting: a high-end Chromebook from Google itself dubbed the Chromebook Pixel. The rumors began last week with the appearance of a purportedly leaked video (embedded below) on YouTube. “A new kind of computer, designed entirely by Google,” proclaims the narrator of the video, which was apparently created by the mysterious Slinky.Me agency. “Concept video for a 2560x1700 resolution, touch-enabled Chromebook with 4 million pixels” is how the accompanying text describes the device. Speculation has been running wild since then, of course—tempered at least to some extent by a healthy dose of skepticism, which hasn't been diminished by some additional investigation done by CNET. People have long been seeing “signs” of a Google Chromebook on the horizon. This week, however, Jan Willem Aldershoff, founder of digital storage community MyCE, claimed to have found evidence in Google's own code pointing to the veracity of this latest round of rumors. In particular, hidden within the source code for Google’s Linux-based Chrome OS are traces of support for HighDPI, Aldershoff noted—something current Chromebooks aren’t yet powerful enough to support but that a higher-powered machine could. Is this mysterious “Google Link” another name for the widely anticipated Chromebook Pixel? And is it really on the way? I've inquired with Google's press team, but (no surprise) haven't yet heard anything back. I'll post an update if and when I do.